HAKAI MAGAZINE: As summer sea ice recedes and resource development grows, the number of ships in the Arctic may well increase and bring with them non-native aquatic species. In fact, some have already made it to the Arctic, they just can’t survive there - yet. Already, as the water warms and sea ice melts, shipping in the polar north is increasing – a trend that’s expected to continue as the region goes ice free. More shipping means more large ships discharging ballast water and, likely, more invasive species being flushed into the Arctic Ocean. Working in Svalbard, an archipelago far north of the Norwegian mainland, researchers took samples of the ballast water from ships coming into port. They identified 23 non-native species, including crabs, barnacles and copepods, in the ballast water. Of those, the team focused their attention on eight, assessing whether they can survive in the conditions in Svalbard today, and in the conditions predicted for 2050 and 2100. Right now, only one of the eight species, a small crustacean, can theoretically survive in Svalbard based on existing information about its temperature requirements. But by 2050, five of the eight might find some southern ports in the archipelago more welcoming, and by 2100, six should feel right at home across much of Svalbard. But even this may underestimate the changes that could soon be coming to the Arctic ecosystem. There wasn’t enough existing data about the physiological requirements of the other 15 species the researchers found in the ballast water to evaluate how they would do in the warming ocean. And “there’s potentially a whole lot more biodiversity in these ballast tanks, hanging out in the sediment [at the bottom],” said Reuben Keller, an expert on invasive species who was not involved in the research. Predicting which species may eventually become established residents of the Arctic is nearly impossible, said Chris Ware, who led the study. But one of the species they found, the European green crab, is considered among the 100 worst invasive species worldwide by the International Union for the Conservation of Nature. 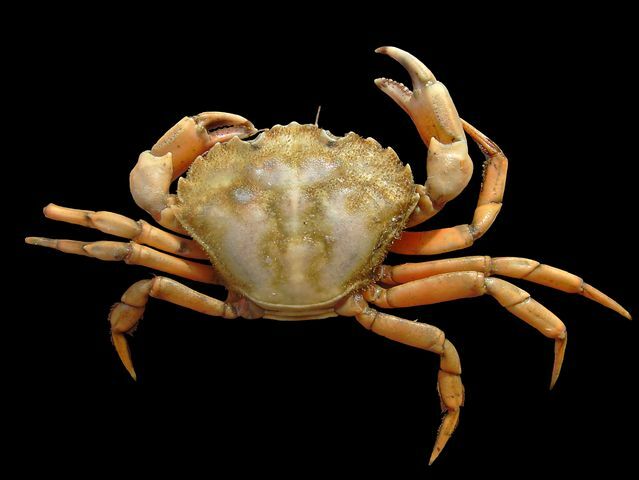 This crab “is known to cause substantial impacts,” said Ware, including eating native species of shellfish and plankton, competing with native crabs, and even introducing new types of parasites. While it may seem like 2050 or 2100 is a long way off, these species are already being transported to the Arctic. “Once established, invasive marine species are notoriously difficult to eradicate,” said Ware. This article is from Hakai Magazine, an online publication about science and society in coast ecosystems. This article originally appeared under the headline Arctic Invasion. Read more stories like this at hakaimagazine.com.